Meller manor was created at the bank of Daugava not later than in 18th century. Not preserved. Manor had a status of chivalry manor which was conserved up to the early 20th century. Manor was located on the land belonging to St George hospital. 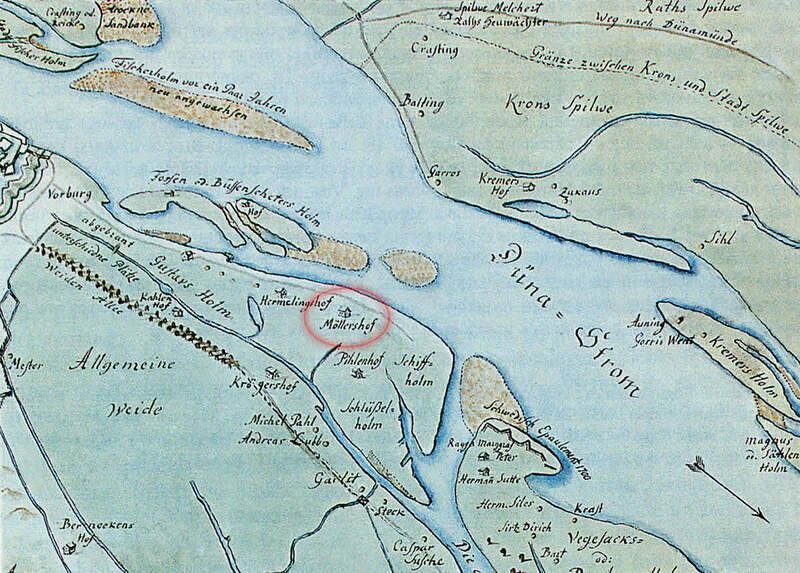 In 1701 Swedish king Charles XII with his troops traversed Daugava from Meller manor to the opposite bank and went to Spilve battle there. In 18th century Daugava washed out the bank up to the manor house. At some moment manor transformed and was not true manor anymore. 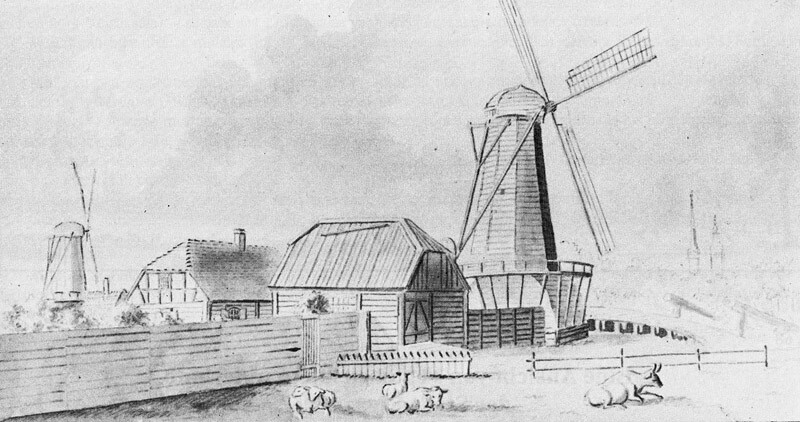 Next to it there was built windmill. In 19th century location of Meller manor though was called - manor. In 19th century Daugava started to deposit sediments at this bank. Circa 1880 land of manor was divided in construction plots, sold and built up. 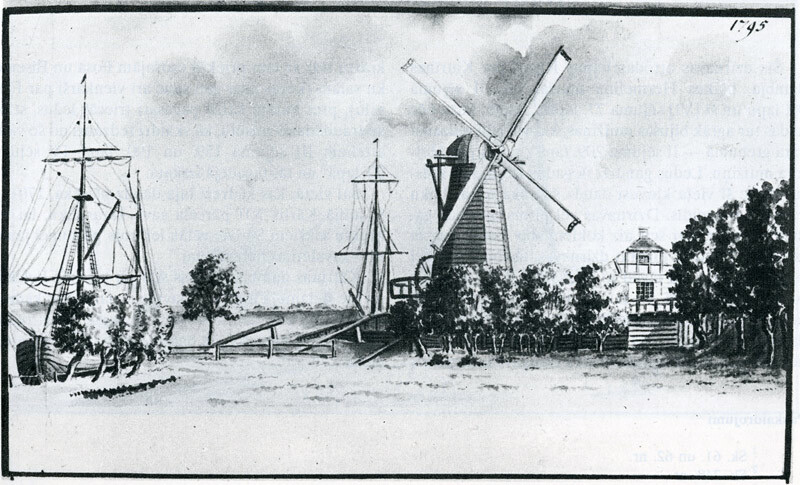 Meller manor, drawing by J.C.Brotze. Ath the second half of 19th century manor centre was sold to Ignat Muhin and after his death in 1905 it together with the house in another part of city in Turgeneva Street 15 was inherited by his daughters - Vera Muhina-Zamkova (later - very renovned Soviet sculptor) and her older sister Maria. Sister owned the manor up to the end of 1930ies. In the maps of J.C.Brotze manor is shown between Pilumuiza manor and Hermeling manor, located right next to Hermeling manor, downstreams from it. In draiwngs there is seen loghouse with one floor, tiled roof. Pediment is built in fachwerk technology. there is mentioned (1.) that in wastern side of Rupniecibas Street there was Miller manor - is it the same manor? This Miller manor perished in the big fire from 1812 (?). Broce J.K. Zīmējumi un apraksti, 2.sējums, Rīga, Zinātne, 1996, pp.144.,157.,161.,304. Ozoliņa D. Kā Rīgas "bruņinieku" muižiņas nonāca pilsētas pārvaldes pakļautībā (19./20.gs. mija), Senā Rīga. Pētījumi pilsētas arheoloģijā un vēsturē, Rīga, Latvijas Vēstures institūta apgāds, 2003, p.332.,338.